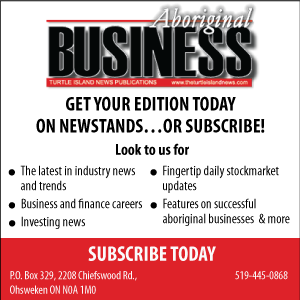 OTTAWA- In the spirit of reconciliation with Indigenous peoples The Hill Times Marco Vigliotti is reporting today Prime Minister Justin Trudeau is being urged by Indigenous Liberal MPs to appoint an indigenous person as Canada’s first governor general, the Hill Times reported today. “I think if the next governor general was an indigenous person, it would be incredibly significant for Canada,” said Liberal MP Dan Vandal (Saint Boniface-Saint Vital, Man. ), a member of the party’s nine-member indigenous caucus. According to the Hill Times, Prime Minister Trudeau is believed to be close to publicly announcing his pick to succeed David Johnston as the Queen’s representative in Canada. Johnston’s extended term in Rideau Hall finishes in September. The Hill Times says the appointment was discussed when the Prime Minister met with the Queen in Scotland earlier this month. The Queen, the country’s head of state, appoints her representative in Canada on the advice of the prime minister. Liberal MP Robert-Falcon Ouellette (Winnipeg Centre, Man. ), an indigenous caucus member, said he believes it is time for the appointment of an indigenous governor general. The governor general has power to dismiss the prime minister, dissolve Parliament, and delay royal assent, which is the necessary final stage for a bill to be passed, but the governor general largely plays a mostly ceremonial role. From 1867 to 1931, Canada’s governor general was selected exclusively by the king or queen of the United Kingdom and was always a British aristocrat. In 1931, the Canadian government won the right to make recommendations to the Crown for the role. But it was only in 1952 that the prime minister recommended a single name for the position, Vincent Massey, without first consulting with his British counterpart, setting a precedent for the appointment that continues to this day. Since that time, all governors general have been and are required to be Canadian citizens. According to the Library of Parliament, the governor general currently receives an annual salary of $290,060. Mr. Johnston, an academic and university administrator, was appointed to a five-year term as governor general in 2010 by then-prime minister Stephen Harper. His term was extended by two years in 2015. The appointment followed the decades-old tradition of rotating between an anglophone and francophone governor general, with Mr. Johnston succeeding Haitian-born journalist and filmmaker Michaëlle Jean. The National Post recently reported that the Trudeau government had settled on its choice for the new governor general and it’s not an indigenous person. The Hill Times says Liberal MP Michael McLeod (Northwest Territories) said he and other members of the indigenous caucus have “informally” discussed the appointment, though no official declaration was passed to the prime minister. It would be “very beneficial” for indigenous youth, he said, to have a role model in the “high, prestige” position of the governor general, and it would go a “long way” towards advancing reconciliation. Liberal MP and fellow indigenous caucus member Marc Serré (Nickel Belt, Ont.) echoed these comments. Mr. Serré, who is Métis and Algonquin, said while his French-speaking family in rural northern Ontario “weren’t big fans” of the Queen, he believes the governor general still has a role to play, namely when it comes to education. He expressed hope that a prospective indigenous governor general would take more of an active role visiting primary and secondary schools to teach young Canadians about the history of the country’s First Peoples. “I think it’s really important to educate our youth because we have a lot of negative stereotypes for indigenous people across the country,” Mr. Serré said, calling the treatment of indigenous people the “major dark spot” of Canadian history. The Hill Times reported Mr. Ouellette said that an indigenous governor general would face an “awful lot of pressure” to bring about expansive changes beyond the scope of the mostly ceremonial position.“The problem for the governor general is it’s a largely symbolic position that doesn’t have any real day-to-day power in how government actually functions,” he explained. They must also boast considerable knowledge of Canadian law, history, and the powers of the position, he said. “You need someone who’s very diplomatic. 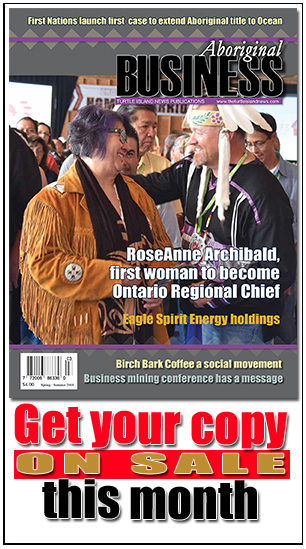 If there’s an indigenous governor general, they’re going to have to balance between two worlds,” Mr. Ouellette remarked. Despite the colonial linkages inherent in the post, Mr. Ouellette told The Hill Times that he believed most indigenous people would welcome an appointment as governor general, a comment echoed by his caucus colleagues.